J. Jane Consulting | shelia nuss. Any given moment can change the trajectory of your life—all you have to do is show up. Shelia Nuss is a big proponent of showing up. She always has been, and it seems, she always will. In this story, the young Shelia Arnold grew up just around the corner from Pauline Nuss (my Grandmother). Mrs. Nuss would frequent the small town’s beauty salon that was owned and operated by Clara Arnold (Shelia’s mother). And as it often goes, matches made in heaven are often first made in beauty salons … by the matriarchs. One afternoon, Mrs. Arnold told her loyal customer that her daughter Shelia was graduating from high school and heading to California with a group of classmates. Mrs. Nuss suggested that the girls visit her eldest son, Bill, who was stationed at an Air Force Base in California. Shelia and her friends quickly made arrangements to visit Bill but something came up and they were forced to cancel the meeting. Shelia was designated to write the young man a letter of regrets. A few months later, Shelia was invited to go to the locally famous Crystal Ball, a dance hall located in Frenchtown, Ohio. She suspected that the handsome Bill Nuss would be there. As fate would have it, Bill was in town, and the two were formally introduced. Shelia mentioned that they were supposed to meet him while he was in California and he told her that he received a really nice note from a girl offering regrets. Shelia smiled. 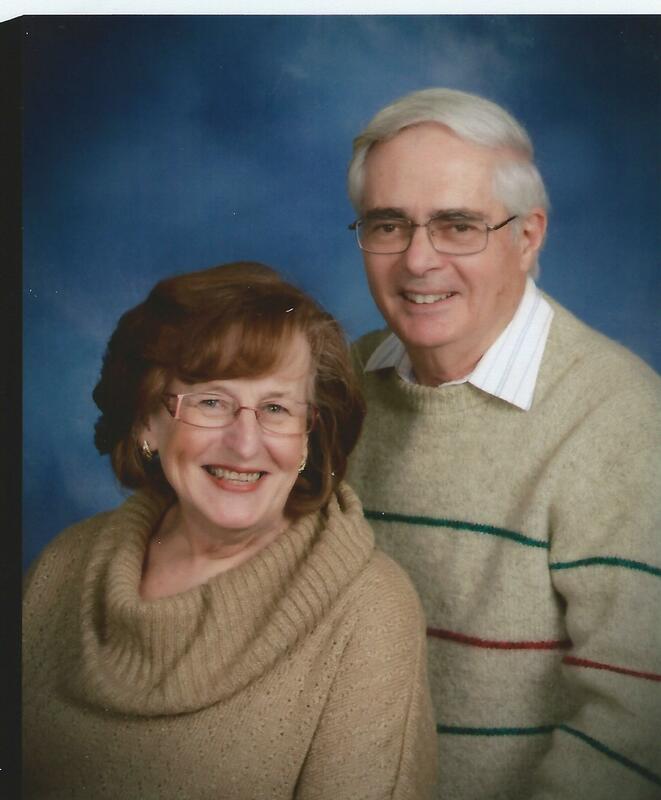 The couple fell in love and recently celebrated our 49th anniversary. In those 49 years, Shelia raised two children, fought and beat cancer, served in various chairperson positions for community-focused organizations, including serving as president of the Auxiliary several times. Shelia Nuss is a believer in the “Pay It Forward” mantra and continues to show up with every opportunity presented. Can you pinpoint the moment you first realized the importance of giving back to your community? Years ago my mother had me join the Sidney American Legion Auxiliary. She described this organization as serving the community and our veterans. Since my father, husband, and many family members were veterans, I thought this would be a wonderful opportunity to join this organization and serve veterans and their families. This service also extends to our local schools as well. What has been your greatest accomplishment in community service? I have worked on many community projects over the years, but one that I am most proud of is the one that our daughter, Kris, and I put together last year for the 70th D-Day Anniversary. A month before this event, Kris called and said, “You know that the 70th Anniversary of D-Day is coming up, we should do something to honor these people.” So we did. I got the Sidney community involved and it was s huge success! We had a panel discussion with two local residents who were there on D-Day, who shared their stories. We honored them plus two other veterans who didn’t want to participate in the panel discussion. The community came together to honor this event by donating everything: the hall, catering, over 50 flags that we gave away along with a POW flag. Our local Swing Era Band donated their time for this event and entertained us all! I would have been grateful if we had 60 people there, but we had over 200 people in attendance. People are still talking about it. I would tell my self not to be so timid and to try new things. When I was younger, people really scared me and therefore I lacked the confidence to be bold and adventurous. As I matured, I realized it was up to me to make the difference in my world. And I have the right to voice my opinion, no matter how silly or ridiculous it sounds to others. But even today, I still reserve my opinions for fear of offending others … for the most part. How did you first feel with your diagnosis? When Bill and I went to the doctor to hear the diagnosis, my first thought was, “God, why me?” They were very hard words to hear. I felt like I lived a good life and have been a good person and followed God’s laws. I was only 42-years old, too young to go thru this … why me? But after praying and trying to figure out the best solution, things eventually got better. I had a wonderful doctor that I felt comfortable with and I truly believe that you need to have faith and confidence in your doctor and to be able to help make your decisions with him. What do you attribute to your remission? The power of prayer, medication, and the power of family and friends. Never underestimate the power of a positive attitude. I would have radiation done before I would go to work for several weeks. One of my male co-workers was very concerned about how I was handling all of this. One day after my treatment, he asked if I had changed perfume. He commented that it smelled like alcohol. I told him that actually it was alcohol because before every treatment they would remark the area with alcohol. I told the radiologist about the story and after all the treatments, he gave me a special bottle that said “Special Perfume” use sparingly. It was pure alcohol. Humor with a positive attitude will cure almost anything! Can you offer a few words of advice for those who are in the beginning stages of treatment? At the time of my cancer, there were few places to have any communication about this stage of your life. I am a person who would keep my emotions inside, and found out that by talking with people especially people who have gone through the same thing is incredibly helpful. So I would suggest reaching out to others who have experienced cancer treatment. One woman still leaves such an impression on me to this day. I worked with a gentleman and he had told his wife about my situation. She called me before my surgery and told me about her experience. She had both breasts removed and was willing to show me what it would look like after the surgery if I had to go that route. To this day, I have never met her but we talked several times afterwards. She was a very special person to offer herself to me at that time. Keep God, family and friends in your heart. After surviving cancer, you certainly look at life differently. You value your family and friends much more. My best advice would be to keep smiling and maintain a positive attitude. Also, Pay It Forward. Great article JJ, once again. Congrats, Shelia. I enjoyed reading this blog. Also, not sure when your 49th anniversary is, but that is a huge milestone. Ned and I would have celebrated our 49th in June. Beautiful story…beautiful life..you have my admiration! Fantastic article! Fantastic Sheila!!!!!!!!! Best of luck to you and Bill.